“Embracing the 4th industrial revolution in heavy haul railways – paving the way” is the theme of the workshop at which railway professionals and associates from across the African continent came together to tackle the advancement of the railway and transport industry in Africa. The workshop was held by invitation of the South African Heavy Haul Association (SAHHA), 4–6 September in Johannesburg. Professor Pilate Moyo, Head of the Department of Civil Engineering at the University of Cape Town, Director of CoMSIRU, and Chairman of Technical Programmes at SAHHA attended the workshop. 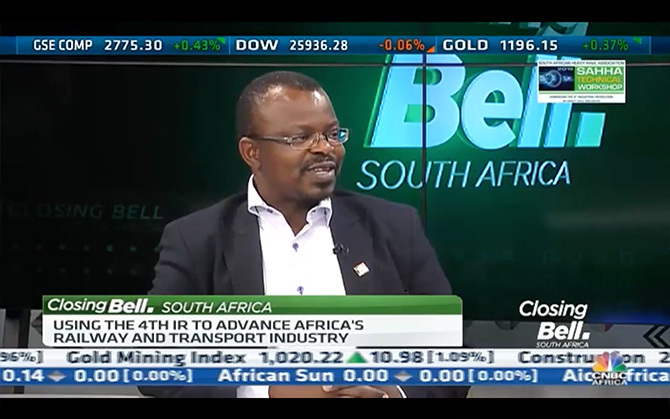 In an interview with CNBCAfrica, he shares insights into new technologies for heavy haul railways and South Africa’s role in advancing these on the continent.